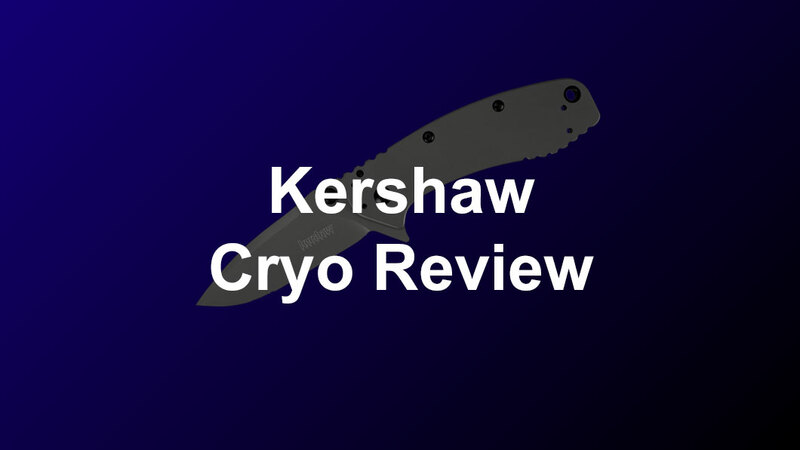 In this article, we are going to go over a great Kershaw Cryo review for you, and show you why it is one of the most popular pocket knives. We will also go through a Cryo 2 review and compare the two. 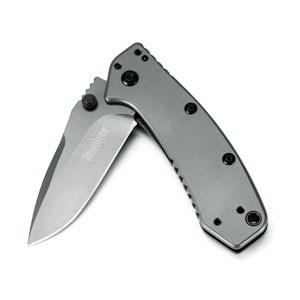 Kershaw is a well known knife company around knife collecting and prepper circles. They make mid-priced knives that are high quality, reliable, and look awesome. You will often hear about their knives in tactical, EDC, or survival knife discussions. The Cryo series is one of their most popular set of knives, next to the Leek and the Skyline. Let's go see why next. The Cryo is a foldable pocket knife that changed the way that we look at low to mid-priced pocket knives. 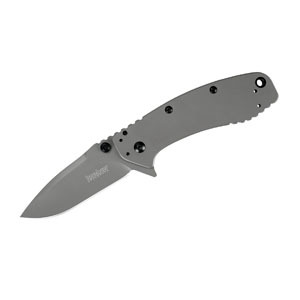 The 1555TI knife design is from a collaboration between Kershaw and Rick Hiderer. Rick is well known for some amazing and unique knives. He incorporates his experiences as a fire fighter and an EMT into his designs, making them extremely functional. The Cryo features the famous Hinderer design, which makes this specific knife even more valuable. It also features a SpeedSafe assisted opening and frame lock stabilizer. There is a flipper and thumbstud for easy one handed opening. The blade is made out of 8Cr13MoV steel that is a great steel considering the price of the knife. The handle is 410 stainless steel. Both the blade and the handle are coated in titanium carbo-nitride. The 2.75 inch blade makes the knife's open length 6.5 inches long, and the closed length 3.75 inches. The weight of the knife is 4.1 ounces. 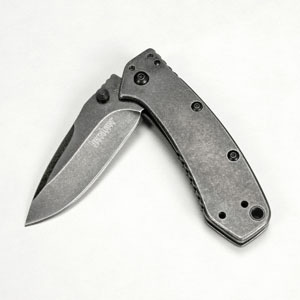 The Cryo is one of the best and most popular pocket knives on the market. It's no wonder that so many people recommend this knife. If you are in need for a great, functional, and quality pocket knife, then the Cryo will be a great choice for everyday tasks. After such a resounding success of the Cryo on the market, Kershaw decided to create a sequel named the Cryo 2. The Kershaw Cryo II, the 1556TI, is 20% bigger than the original Cryo. 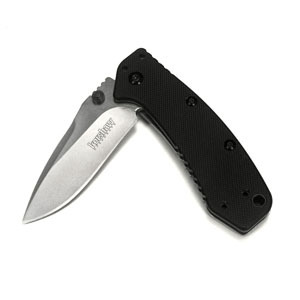 The 3.25 inch blade gives the knife a 7.75 inch open length, with a 4.4 inch closed length. This knife also has the same amazing features as the Cryo. Another Rick classic, the blade is made out of 8Cr13MoV, the handle is 410, and both are coated with titanium carbo-nitride, just like the Cryo. The weight of the knife is 5.5 ounces. You can't go wrong with this knife. The Cryo 2 is a beast of a knife, made for heavy and hard use. 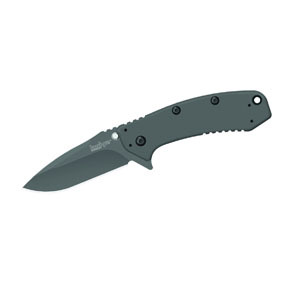 The blade performs perfectly as a backup for a fixed blade or as a larger working knife. If you prefer a bigger blade, then the Cryo 2 is the perfect pocket knife for you. This knife has everything that you need, including assisted opening, frame lock, and good steel. Now comes the question, which one is better? Well, that is not an easy question. It all depends on what you need from your knife and what kind of tasks are you going to be doing with it. The Cryo is much better as an EDC carry blade, especially if you carry your knife the whole day on you. It is 25% lighter so you won't feel the weight of it as much. The smaller size also means that it will fit better in your pocket. Especially if you are like me and carry many other items with you like pepper spray, wallet, keys, etc. The advantage of the Cryo 2 is its bigger size. This allows you to get a little more work out of it on bigger tasks. There is no clear winner on which one is better. It comes down to your specific preference on knife size, weight, and price. The Cryo 2 is about 20% more in all three of those areas. The coated handle on the Cryo can be slippery for some people, which can be a deal killer for some of us depending on what we are using our knife for. 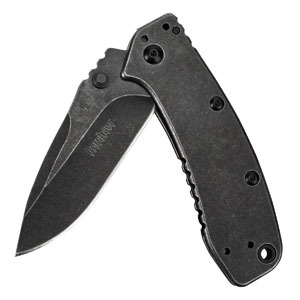 That's why Kershaw has a version of the Cryo with G10 scales. G10 scales have been gaining popularity over the years as a great solution for slippery knife handles. They offer amazing grip, even in a wet environment. If you are considering the Cryo, but might use your knife in a wet environment, consider spending a few more bucks to get the G10 version. The G10 is only on one side of the knife though, where the back of the knife is the regular 410 stainless steel. This isn't too much of a problem, since the clip is on the back and already creates a grippable surface. If you want to add a little style to your knife, the Cryo comes in a blackwashed version. This version looks amazing and will definitely be a talking point among your friends when they see it for the first time. It's a great way to get a stylish looking knife that comes out of the box looking broken in, yet its still brand new. And just like the Cryo, the Cryo 2 also comes in a blackwashed version. That way, you get the best of both worlds: the bigger knife and the awesome style. With function and looks like this, you can't go wrong. The Cryo and Cryo 2 are some of the best EDC pocket knives on the market today. They are affordable, build tough, and feature rich. 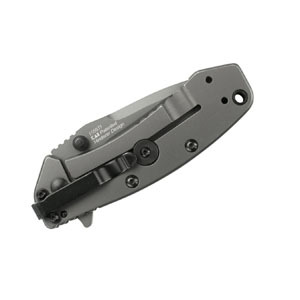 The frame lock is one of the best locking mechanisms for a folding knife. Because of all of these reasons, both of these knives are extremely popular and have amazing ratings. It can be really hard to find a perfect pocket knife, but if you are looking for some functional, high-quality, and great looking blades, then look no further. Give the Cryo or the Cryo 2 a try and it is extremely likely that you will love them.